I was sent this link by a friend on Friday and freaked out a little. Obviously on Friday there were more days but now it’s under 180 days, which means publication is just over 25 weeks away. It’s rather splendid, which is why I have to put it out of my mind because, if you keep thinking about it, I think it will just drive you crazy. On Friday past I sent off the copy edits to the editorial team and so I gave myself the weekend off. I hung out with my lovely friend Sue on Saturday and we fixed the world. If anything’s broken since then, then I’m sorry, we did our best. Sunday I indulged in a morning of reading Sarah Rees Brennan’s new book “Untold” and basically I love her. It sounds SO good. Can’t wait to indulge. 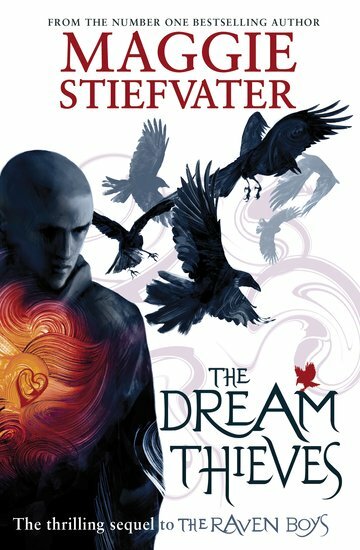 There is also Maggie Stiefvater’s second book in the Raven Boys series, called The Dream Thieves coming from Scholastic UK. Now that the ley lines around Cabeswater have been woken, nothing for Blue and Gansey will be the same. Ronan is falling more and more deeply into his dreams …and his dreams are intruding more and more into waking life. Gansey is needed at home, and is struggling to stay in Aglionby. And Adam? He’s made some new friends. Friends that are looking for some of the same pieces of the puzzle that Gansey, Blue, and Ronan are after. Great power is at stake, and someone must be willing to wield it. I’ve fallen UTTERLY in love with the first book, The Raven Boys. I’ve read it possibly four times, if not more and I have a proof, a finished paperback and a kindle copy. I know. But sometimes a book finds you and it just strikes a chord and it’s those books I reach for when comfort is needed. Randomly, I was over at Maggie’s website the other day and found the video where she spray painted her car…to resemble the car one of the characters in her book drives, complete with the knife spray painted on the side. It’s a bit crazy and so cool. The other book I’m super excited about is from Macmillan, Jana Oliver’s Briar Rose. If there’s a lady who I trust to write me a subverted fairy tale, it would be Jana Oliver. I loved her Demon Trappers books loads and loads. Briar Rose believes in fairy tales . . . And now, because of a family curse, she’s living one. Doomed to fall asleep for one hundred years on her sixteenth birthday, Briar has woken up in the darkest, most twisted fairy tale she could ever have dreamed of – miles away from the safe, boring small-town life that she has left behind. Briar must fight her way out of the story, but she can’t do it alone. She always believed in handsome princes, and now she’s met one her only chance is to put her life in his hands, or there will be no happy ever after and no waking up . 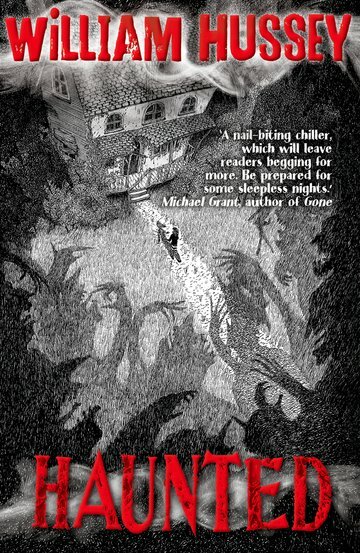 . .
I’ve known William Hussey for a few years now, back when he wrote macabre adult horror novels. He’s subsequently written a superbly gory and frightening series of books for OUP but this week sees the release of his new book, Haunted. Milton Lake is a seemingly ordinary town, where tales of hauntings and strange goings on ripple beneath the surface. When a mysterious boy comes to town and moves into a large, derelict house, all alone, his arrival changes everything. Shrouded in secrecy, he senses a kindred spirit in Emma Rhodes, and reveals to her a shocking truth. Someone in Milton Lake is using the fabled Ghost Machine to call the spirits of the dead back to our world. Yeah, not something to read IN THE DARK I think. So a swathe of great books to read in the next few weeks. I admit, I miss getting publishers’ catalogues so I can be privy to what they’re bringing out. But you know what? As much as I miss it, I like walking into Foyles and Waterstones and seeing a book I had no idea about and falling for it utterly as I stand with it in my hand. A friend we saw over the weekend said to me: Liz, the only things you ever Facebook about are books and bags. At my uncomprehending stare as to why this seems to be a Bad Thing, Mark just laughed and patted my shoulder because he’s a good husband and gets it. For the next few weeks I’ll be flat-out writing on book 2 in the Blackhart Legacy series as my deadline is November. It’s really thrilling to have the opportunity to play in Kit’s world and to explore it more, adding layers and mythologies. I must just remember not to add Everything. That happens in book 3. In November I’ll be taking part in a UKYA blog tour, my first ever, as hosted and organised by Lucy over at Queen of Contemporary. Here’s a her blogpost about it. I’ll be talking a bit about Kit, the Blackharts, creating their world and fun things. The event is going to be huge and it’s going to be fun, with over 30 UKYA writers taking part in this and as many bloggers. I look forward to seeing what it entails! Bring on November. But only after I’ve written book 2. I want to write, where do I start?